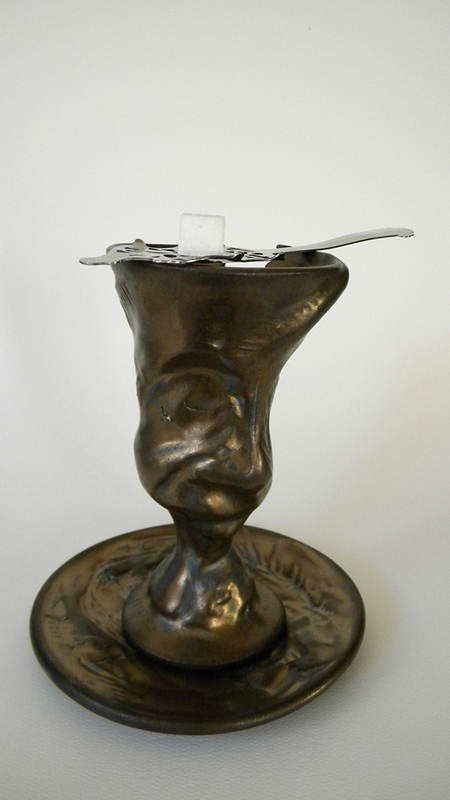 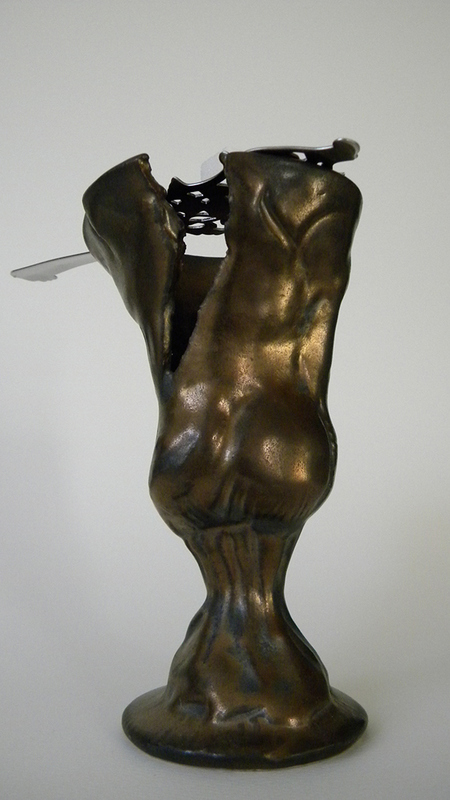 'Glass of Absinthe' is a free standing porcelain sculpture finished in a trompe l'oeil bronze finish. 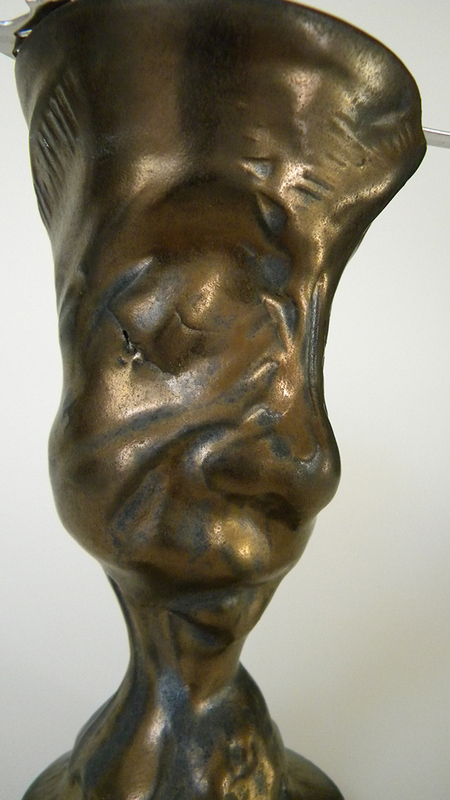 The work pays homage to Picasso's 'Glass of Absinthe' produced in a series of 6 bronze casting during 1914. 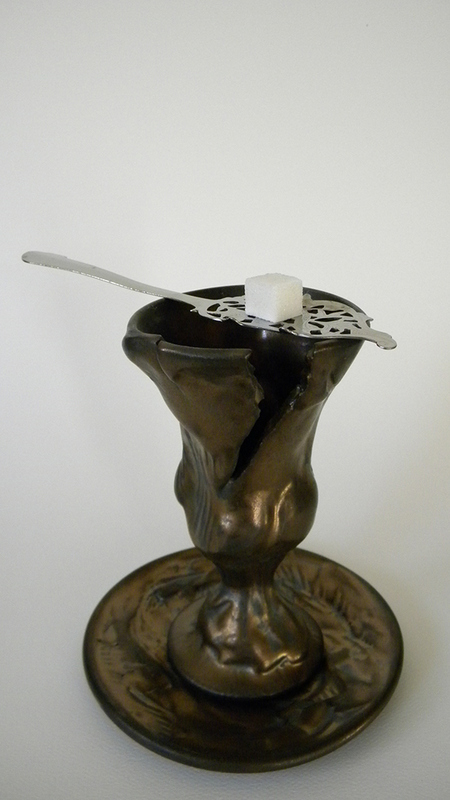 Since the ban on Absinthe has been lifted in 1990, the once popular drink of the paris salon is again finding its way into an underground culture.